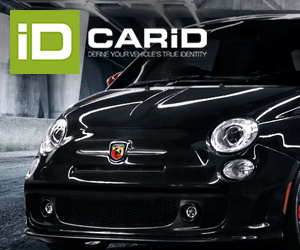 One more terrible month for Italian car market. Again the fall was above 20% and things don’t seem to get better. 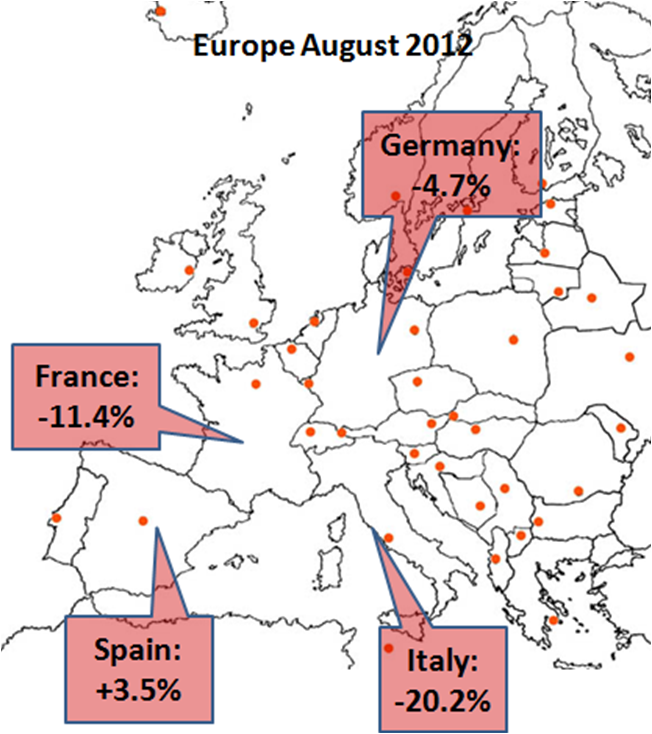 During August 2012 Italian market fell 20.23% compared to August/11, which means it is the third month in a row with a drop above 20% after June (-24.4%) and July (-21.4%)*. It was by far the worst result among big markets in Europe (Germany, France, UK, Spain, Benelux) and means a big threat for the future of Fiat Group in Europe, which considers Italy as its ‘fortress’ such as France is for Renault or PSA. It is why some important car industry analyst continue to look for solutions to stop the crisis that could result in another factory closure in the next months. The Automobile Club d’Italia, ACI, said this week that what the government is doing has not helped at all to solve the problem. “Government’s policies have focused only in the rise of taxes to car buyers, who are now decreasing the use of their cars looking to reduce their expenses… more than going forward, car industry is using the reverse, at least in our country: like this there is no future. We ask the government to establish a work group to create a strategy to give some oxygen to car buyers and companies, so more than 10.000 jobs can be saved. The first and immediate policy could be the reduction of taxes on gasoline“. In fact what makes Italian market to have the worst fall among European car markets is that gas prices and new taxes are the rising a lot. Italians buy fewer cars as having one means more expenses than before and economic situation in Europe does not seem to get better in the short or mid-term. In this terrible context Fiat-Chrysler sold 16.699 cars in August 2012, or 29.58%** of total market. It means the whole group’s sales figures fell 20.59%, a bit more than total markets’. The reason for this fall on its market share (one year ago it was 29.72%) is explained by the big fall of Lancia, down 32%, strongly dependant on Ypsilon model which had a strong fall. Something that did not happen to Fiat and Alfa Romeo. Fiat registrations fell ‘only’ 17.54% allowing it to gain more market share, while Alfa Romeo was down 20.49%. The other 3 brands, Jeep, Ferrari and Maserati, the small ones in terms of units sold, had very bad results. Ferrari sold only 6 units, down a massive 63%, while Maserati sold 4 units, down 72%. The reason for the super cars fall is the new policy against the owners of this kind of cars. 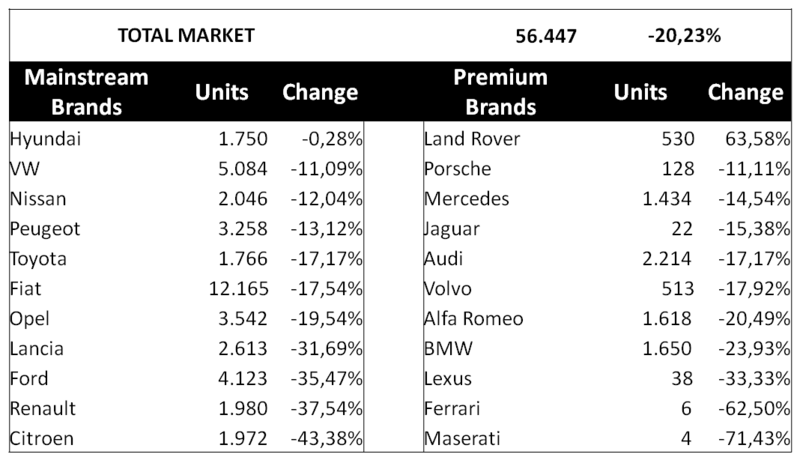 Anyway less units sold of these two brands has a bigger impact on profits. Comparing to other car makers, Fiat brand sold 2.4 more cars than its immediate competitor, VW, while one year ago it sold 2.31 more cars than Ford, the second one by that time. Fiat’s fall was lower than Ford, Opel, Citroen and Renault’s, while VW, Peugeot, Toyota, Nissan, Hyundai and Kia (+78%) did better. Alfa Romeo did better than BMW but Mercedes and Audi had lower falls. It sold more cars than Mercedes. In terms of models the situation is pretty much the same. 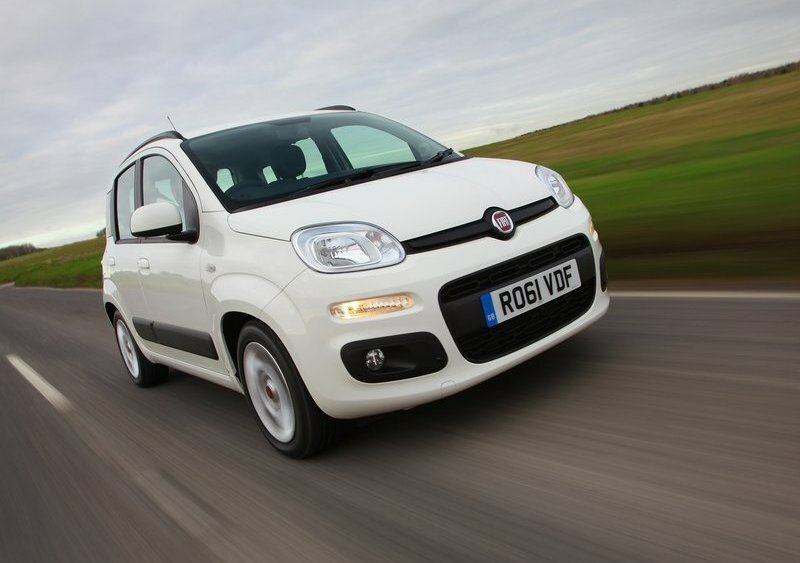 The Panda was again the best-selling car and was up 10%, while the Punto was in second place, down 50% and only 680 units above the Ford Fiesta, the second place of B-Segment. But what really impresses is the massive fall of Lancia Ypsilon, down 49%. It is the first time this new generation has bad results and Lancia must be thinking of what went wrong and what to do for the coming months for a model that is still considered a new product. The small 500 fell 4% thanks to new versions and colours, but also because VW has not been able to gain a good place among A-Segment cars with its Up!. The Giulietta did well with more than 1.000 units sold, allowing to be Italy’s 10th best-selling car and this time 670 units behind the leader, the old VW Golf (the Alfa was down 9.7% while the Golf was down 16.5%). Other good results come from the Lancia Musa, up 125%, and the Thema with 48 units delivered, up 300%. The Bravo sold only 489 units, down 45% while the Freemont begins its slowdown as it sold 13% less than one year ago. Year-to-date numbers show that 290.840 Fiat, Lancia, Alfa, Jeep, Ferrari and Maseratis were sold until August. It means 73.604 cars less than one year ago, or -20.19%. Compared to total market’s performance (-19.86%), Fiat-Chrysler’s share is now 29.64% while one year ago was a bit better, 29.77%. Only Ford, Toyota and Renault did worse than that, while Germans fell but not that bad, and Koreans gained a big share of the market, as it is happening in Europe. At the end Fiat-Chrysler is suffering the consequences of a market that was tainted by government helps for several years, and now is doing the opposite. What Fiat must do is to depend less not only on Italian market but on government aid, no matter if it means less units sold, because at the end those units will be safe and real sales. No (new) cars, no sales!